Warfare is an inescapable part of the Star Wars universe, from the Rebel Alliance's defeat in the Battle of Hoth to a few elite Rebel strike teams taking on a legion of stormtroopers on the Forest Moon of Endor. You can seize your chance to get your boots on the ground and lead your troops to victory with Star Wars: Legion, a miniatures game of thrilling infantry battles in the Star Wars universe! 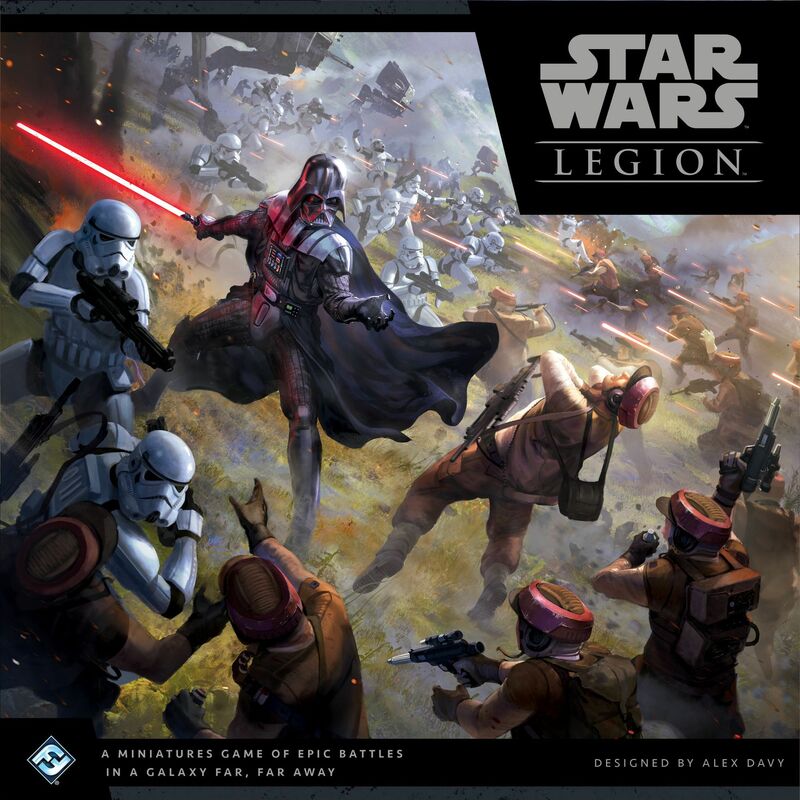 Star Wars: Legion invites you to enter the ground battles of the Galactic Civil War as the commander of a unique army of miniatures filled with troopers, powerful ground or repulsor vehicles, and iconic characters like Darth Vader or Luke Skywalker. While innovative mechanics for command and control simulate the fog of war and the chaos of battle, the game’s unpainted, easily assembled minis give you a canvas to create the Star Wars army you’ve always wanted to lead into battle — whether you fight for the monolithic, oppressive Galactic Empire or the ragtag Rebel Alliance. Wenst u het gezelschapsspel "Star Wars: Legion" aan te kopen?